Check out our latest event posts! In Iino, turn right at the Iino JA-SS on 221 and it’s on the left about 600m up the road. A family-owned and operated onsen (hot spring) hotel, Kyoumachi Kankou is cheap and well maintained. ¥300 buys unlimited relaxation in a variety of pools. The indoor pools vary in temperature from hot to very hot and the 露天風呂 (outdoor pool) are pagoda covered and exceptionally relaxing. On a winter night, this is not to be missed. Staff are extremely welcoming and some speak English. 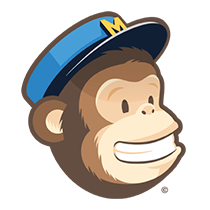 Click the MailChimp monkey to signup to our mailing list. It's the best way to find out about MAJET events, volunteering, and our latest blog posts and updates. Please understand that by submitting photos to MAJET via social media or email, you grant us permission to use said photos for any lawful purpose, including publicity, illustration, advertising, and Web content. Please also be aware that we document all of our events and will be taking pictures. If you do not wish to be photographed or if you find a photograph of yourself which you would like to have removed, please let us know and we will respect your wishes.